This week, our cheffy food-grammers were tasting their own grub as well as eating out. 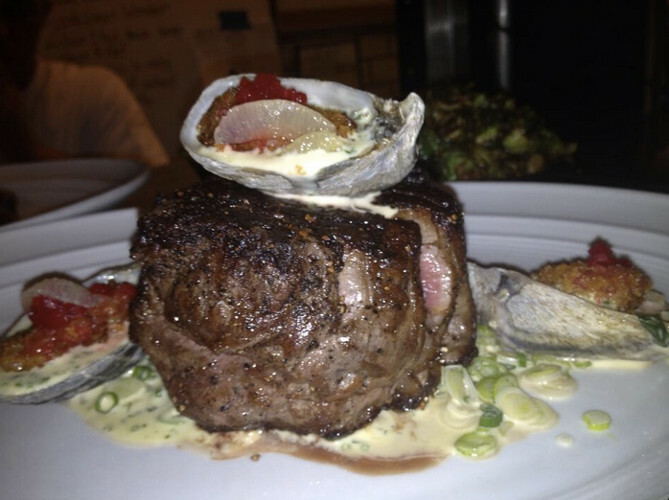 Let’s take a look at the best snaps from chef- and restaurant-run social media accounts. 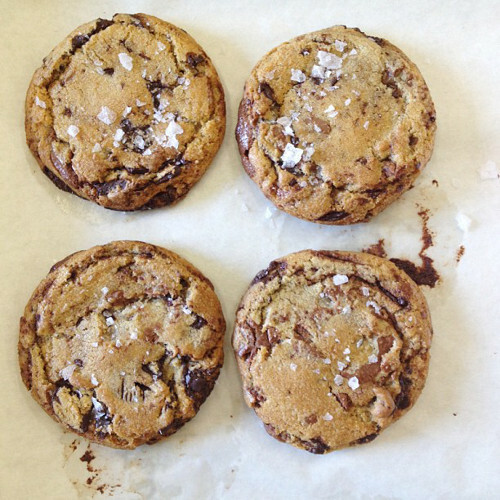 @heirloomla 'grams some chocolate chip cookies prepared the right way—with lots of sea salt. 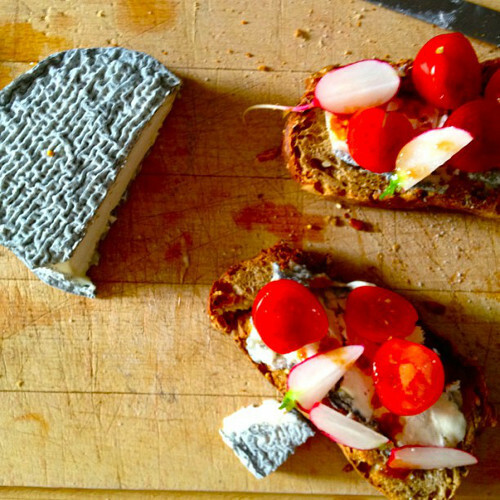 @andrewcarmellini's summer starts early with some radishes on toast and some stinky-looking cheese. 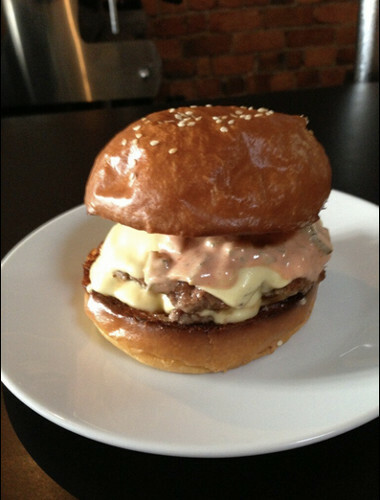 @seanbrock finds a serious cheeseburger at Rockwell and Sons in Australia. 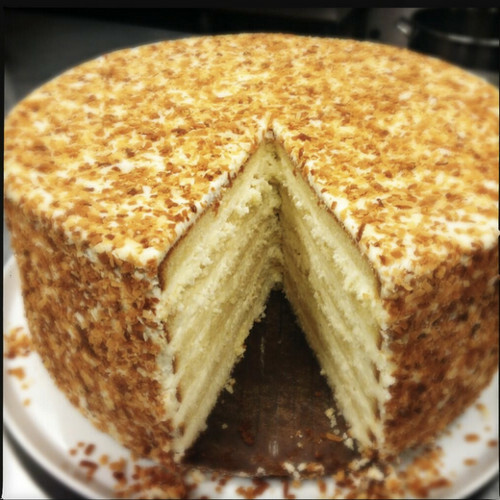 Someone gave @AprilBloomfield a nice coconut cake. 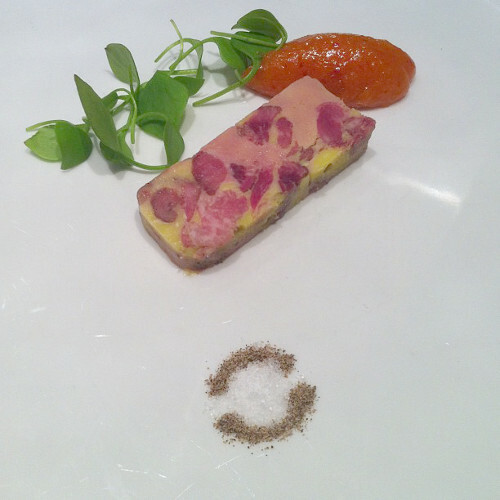 Don’t try this at home: oxtail and smoked foie gras terrine with apricot mostarda from @jonathanbenno. 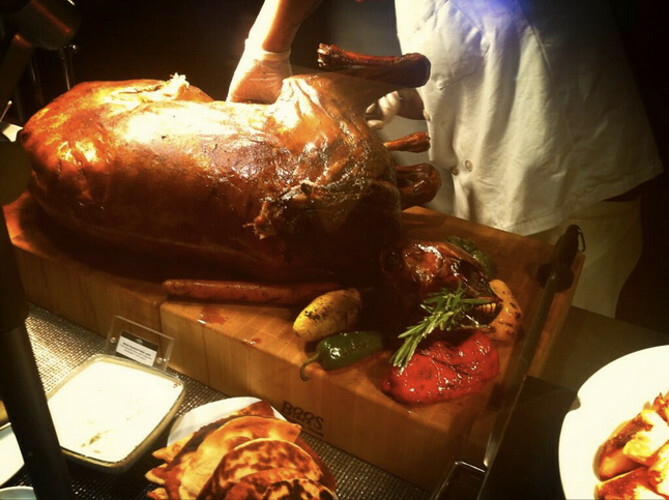 If @fattycue brings a whole-roasted lamb to a basketball game at the Barclays Center… imagine the game they bring to the restaurant. 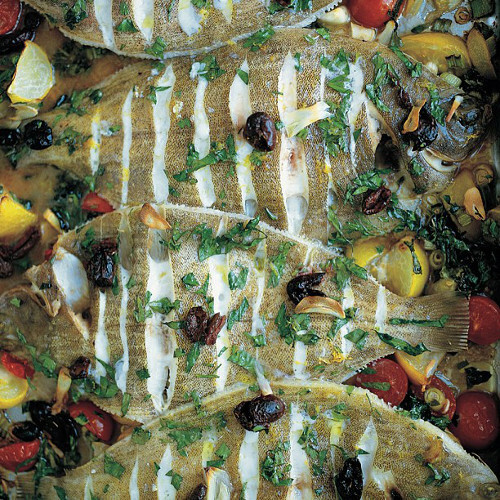 @jamieoliver gives us an intensely colorful tray-baked lemon sole. 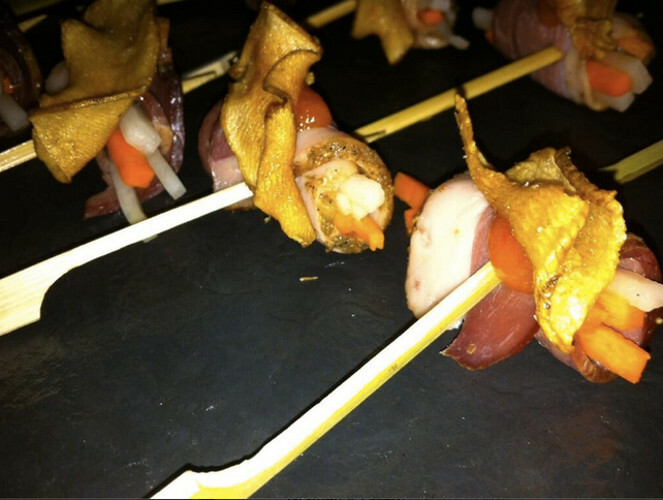 These duck pastrami on a stick from @GramercyTavern won first place at the Jimmy’s No. 43 Duck-a-Thon. But we'd eat it even if it came in last. 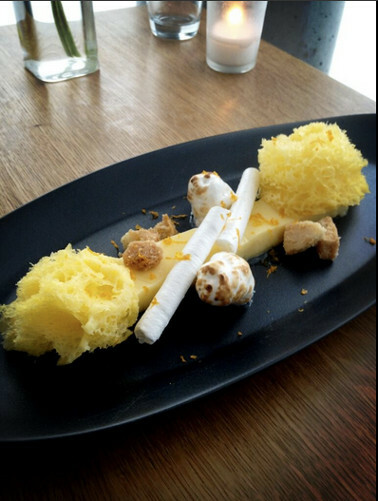 We can’t really tell which is the lemon tart, sponge cake, and Italian meringue in this dessert pic from @cedvongerichten. Can you? 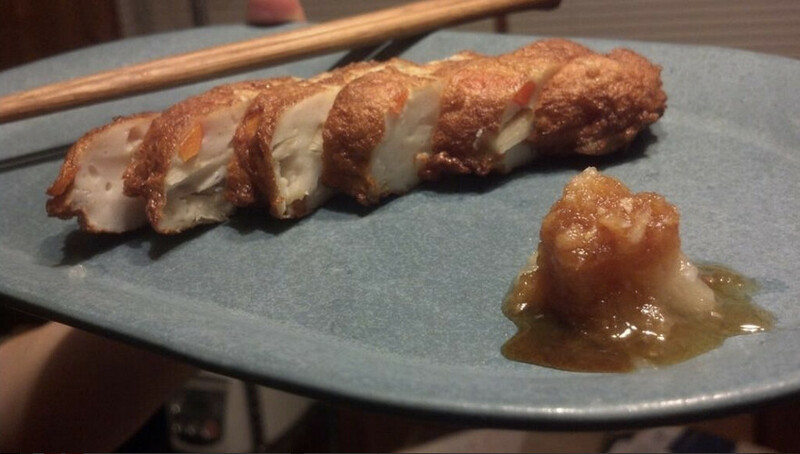 @JoshFratoni says he was feeling ill, but this attempt at satsuma-age, a Japanese fish cake, came out pretty well. 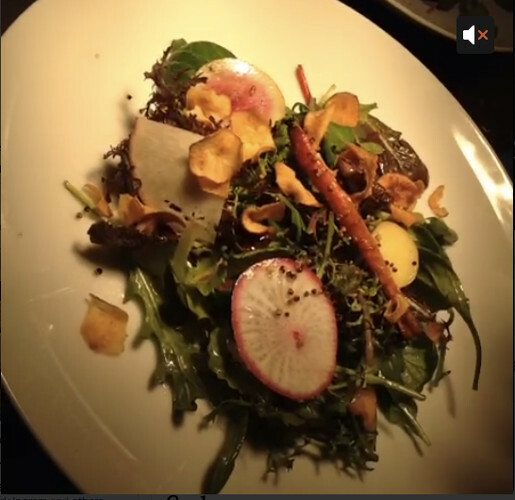 @marcocanora gives us another taste of Hearth’s Saturday night specials via Vine. 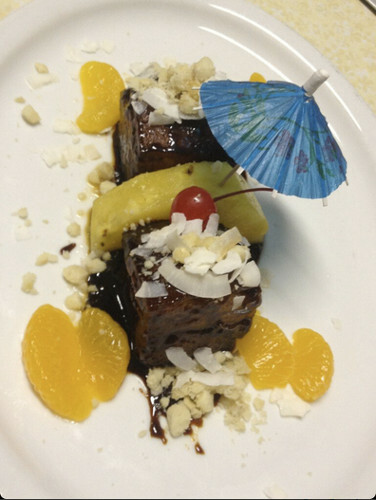 Mission Chinese now offers Tiki Pork Belly in San Francisco. 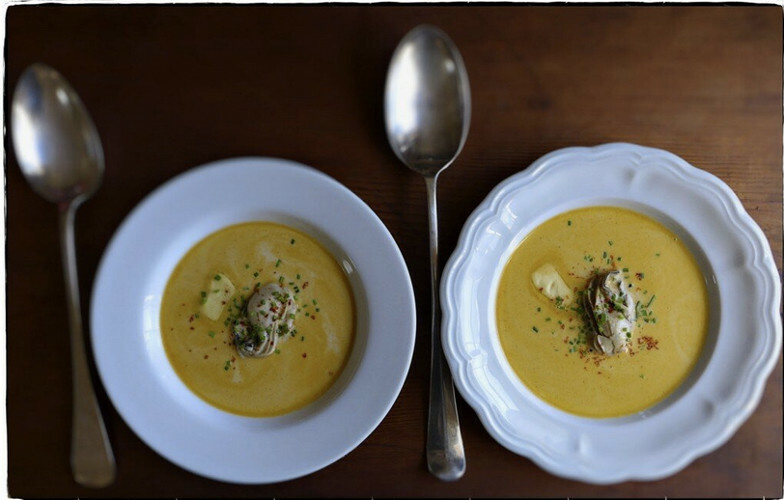 @TheCanalHouse makes use of the last of cold season’s ingredients with a wintry soup topped with oysters. 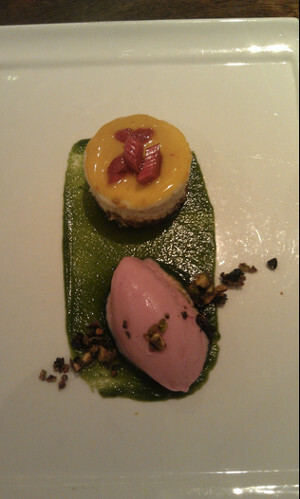 @TheVedge in Philly knows how to do dessert right with a saffron cheesecake, rhubarb ice cream, basil gelee, and pistachio black olive crumble.